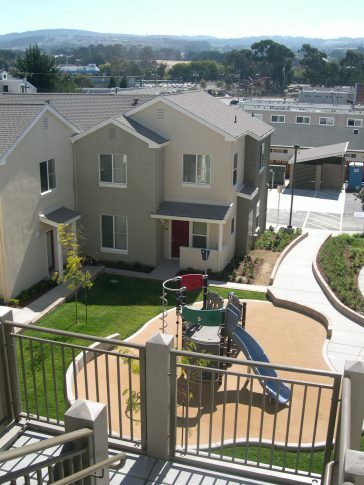 Grand Oak Apartments is a 43-unit complex of affordable multi-family housing that includes a courtyard play area, community multipurpose room, and two stories of underground structured parking. 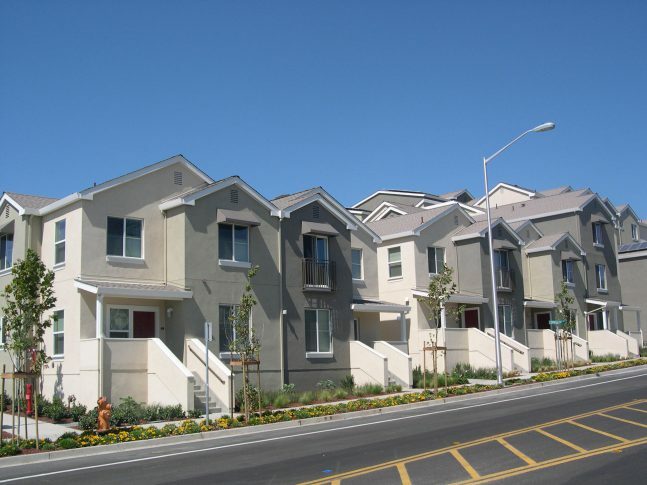 Two-story townhouses line Oak Avenue and conceal the parking garage completely from the single-family neighborhood across the street. Individual front porches and varied rooflines present a friendly, small-town face to the street. 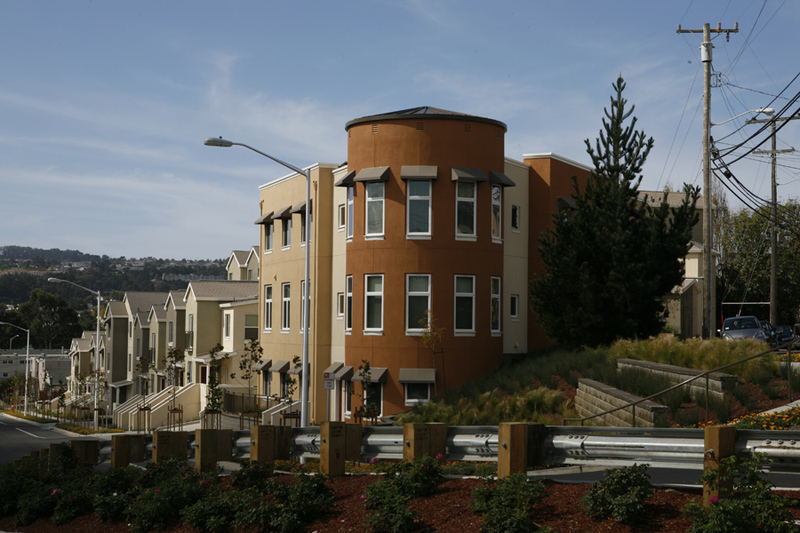 The site provides views of the San Francisco Bay and neighboring hillsides, but its long narrow configuration and steep slope produced several design challenges. An elevator located midway down the parcel allows accessibility between the various levels. 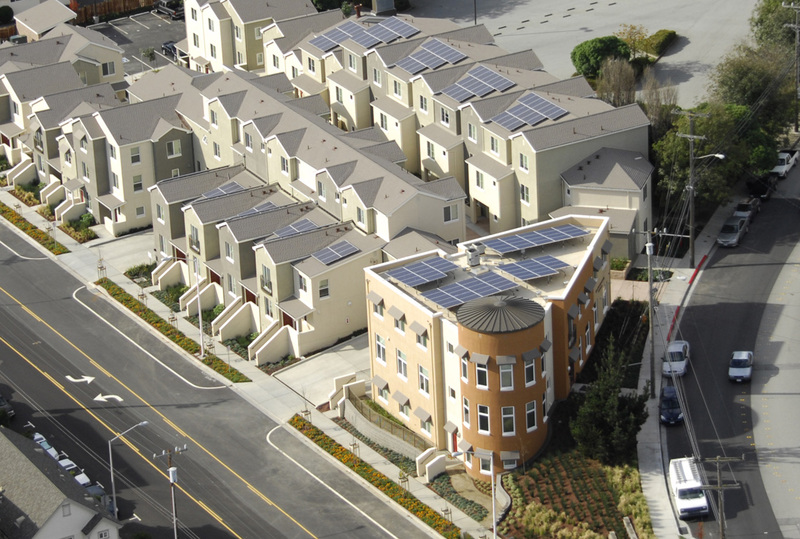 All common area electrical usage, including the garage ventilation fans, will be powered by rooftop photovoltaics. Create a project that enhances the surrounding community by addressing the varying conditions at each edge. Incorporate major parking and site grade considerations, within budget, while maintaining an inviting street presence.